IRJMSH is a "peer-review" and "referred" and "widely accepted" International journal. It is the committee through which experts in the field of study assess the quality of articles/journals that are submitted to it for publication. It is an open access journal that publishes high-quality research articles, all areas of Science and technology. The Journal welcomes the submission of manuscripts that meet the criteria of significance, academic excellence and great ideologies. Papers will be published approximately one week after acceptance. Every manuscript is reviewed by two reviewers familiar with the relevant field of research. Our motto is to provide the quality information and knowledge that enable our readers to perform their jobs efficiently, continue their education, and help contribute to the advancement of their chosen markets. Our readers are researchers, students, academics and increasingly professionals. We help our acadmecians advance science and health by providing world-class information and innovative tools that help them make critical decisions, enhance productivity and improve outcomes. We develops online information solutions that help professionals achieve better outcomes and results.. .
CASIRJ was started in June 2010. The prime aim of this Research Journal is to share and link the Commerce , Arts , Science students and faculties, their views all over the world. This Journal is managed by professionals in the field and tries to provide all the possible resources to the students and faculty. We also offer best possible consultancy and research solutions for the industry and researchers. The aim of these journals is to disseminate knowledge about emerging issues in the field of study throughout the globe. CASIRJ Publish Outstanding Research work in all areas. The journal gives emphasis on international issues which impact on local and global economy. We publish Articles, Research Papers, Conceptual Papers, Research Reports, Technical Reports, Reviews, and latest trends and developments in these ever-dynamic subjects. IRJMST was started in June 2010. The prime aim of this Research Journal is to share and link the Science , Technology , Management students and faculties, their views all over the world. The Research Journal is a nonprofit unit of Shri Paramhans Education Trust. This nonprofit trust has been started to serve the poor people and deprived students socially and economically. This Journal is managed by professionals in the field of IT and Management andtries to provide all the possible resources to the students and faculty. We also offer best possible consultancy and research solutions for the industry and researchers. The aim of these journals is to disseminate knowledge about emerging issues in the field of IT & Management throughout the globe. We Publish Outstanding Research work in all areas of Management, Sciences and Technology. The journal gives emphasis on international issues which impact on local and global economy. We publish Articles, Research Papers, Conceptual Papers, Research Reports, Technical Reports, Reviews, and latest trends and developments in these ever-dynamic subjects. RESEARCH JOURNAL OF SCIENCE ENGINEERING AND TECHNOLOGY RJSET is a scholarly online Journal, peer-reviewed, interdisciplinary, monthly, and fully referred journal focusing on research, theories and applications in computer, Science, Engineering, Technology and relevant fields. RJSET is an international scientific, Engineering and Technology journal that aims to promote research in the field of science, Engineering and Technology. RJSET is also meant to contribute to the constant scientific research. We publish only original research articles, review articles and Research Papers. RJSET journal covers all areas of Science, Engineering and Technology like computer engineering, computer Science, Information Technology, Mechanical Engineering, biometrics and bioinformatics, Electrical Engineering, Electronics Engineering, Automobile Engineering, Civil Engineering and more.. This is a unique journal connecting the reflection of the community of Indian Reviewer, Researchers and Thinkers on the public understanding of Research and Culture together. RESEARCH JOURNAL OF MEDICAL SCIENCES AND INNOVATION IRJMSI is a scholarly online Journal, peer-reviewed, interdisciplinary, Quarterly, and fully referred journal focusing on research, theories and applications in Medical Science, Technology and Innovation in relevant fields. IRJMSI is an international Medical scientific and Innovation journal that aims to promote research in the field of Medical science and Related Technology. IRJMSI is also meant to contribute to the constant scientific research. We publish only original research articles, review articles and Research Papers. IRJMSI journal covers all areas of Medical Science, Technology like and more.. The Journal provides an integrated forum for the presentation of original research articles and thought – provoking reviews to generate innovative ideas in Medical Science, Society and Culture, National Issues, Events and many more research. BBSSES was started in Jan 2010. The prime aim of this Research Journal is to share and link Bhartiya Bhasha, Shiksha, Sahitya evam Shodh Scholars and faculties, their views all over the world. 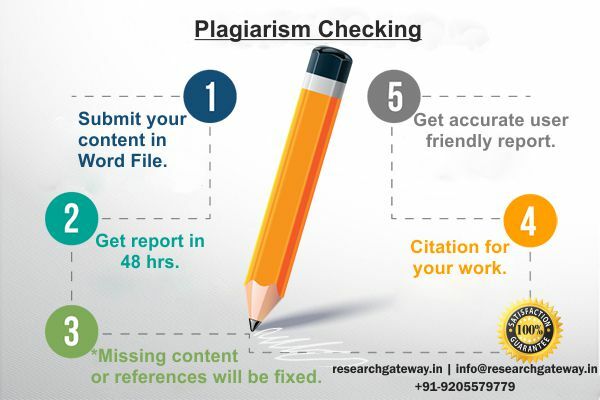 The Research Journal is a nonprofit unit of Shri Paramhans Education Trust. This nonprofit trust has been started to serve the poor people and deprived students socially and economically. This Journal is managed by professionals and tries to provide all the possible resources to the students and faculty. We also offer best possible consultancy and research solutions for the industry and researchers. e. It is a referred journal, ensuring quality It is indispensable for students, professors and historians.